Invisalign braces are the most recent technology used to straighten your teeth and provide you with the wonderful smile you have always been looking for. 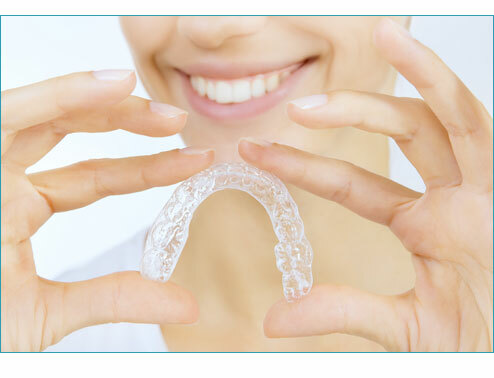 Invisalign braces are created from clear plastic that are almost invisible when worn. They contain no metal wires or brackets that can cause discomfort in your mouth. You can express a confident smile without anyone ever knowing you are wearing braces. Advanced 3D imaging technology is used to see the positioning of your teeth and oral structure. Based on an examination, Invisalign clear aligners will be customized for your teeth to ensure the best results. Invisalign aligners can correct and straighten your teeth without the pain and irritation that usually comes with the metal wires used in traditional braces. Some discomfort may be experienced during the initial stages of treatment, this is normal and part of the process for correcting your smile.